Sometimes it can be tricky to make sure that our homes are clean, tidy and safe to enjoy. This is particularly hard for people that may work most of the week – meaning that the nooks, crannies and other areas of our homes that are hard to reach often go un-noticed. It is, however, very important to make sure that our households are free from dust and germs – and the best way to do this is to ensure that we regularly clean each and every room, and that we clean them thoroughly. Dust might not seem like that much of a problem on the face of things – however, you really need to consider what dust is actually made of. It’s dead skin, it’s pieces of fabric, it’s even dead bugs, mites – if we all had microscopic vision, it’d probably be pretty grim to look at! Further to this, dust is the cause of a whole host of aggravating conditions. From sore eyes to breathing problems and even the odd, nasty cough, keeping dust down is very important if you want to keep breathing easily. 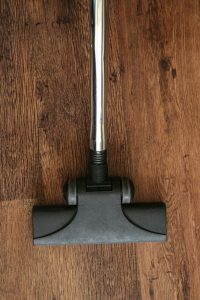 You may not notice dust having an effect on your own health, however, you need to think about the people around you – and it can be all too easy to let dust really build up without noticing. Let’s face it, dusting can be easy enough, but it’s finding the time to get around everything. Vacuuming, too, really makes up for much of our dust control. If you’re leading a busy working or home life, you may find it difficult to really crack down on mite pile-ups. Therefore, this is all the more reason to consider finding someone to help you out with tackling the trickier or even more boring side of domestic cleaning. Sam’s Cleaning and Ironing Services provide talented cleaning professionals for jobs big, small, simple and complex – and they’re all looking for short and long-term jobs where they can help busy people take care of their homes. Our professionals for hire can make sure that your carpets, surfaces and shelving are dust-free, clean and safe for you to use – meaning that you no longer need to worry about spending all of your free time catching up on housework after a hard day at the office. Domestic cleaning is available for people from all walks of life – if you simply don’t have the time or availability to cut down on dust and dirt, our professionals can tackle the tasks for you. If you’d like to know more about what we can do for you, call Sam’s Cleaning and Ironing Services today on 07712 227517 or email us directly at your convenience. For short jobs or long-term arrangements, let us match you up with cleaning staff who really take pride in getting the results you need. Why spend your free time cleaning when you’re out on the grind all day? We can help.